You never know what you have until it’s gone. The Trojans are sure glad to have their most prized asset back on the floor performing for them. 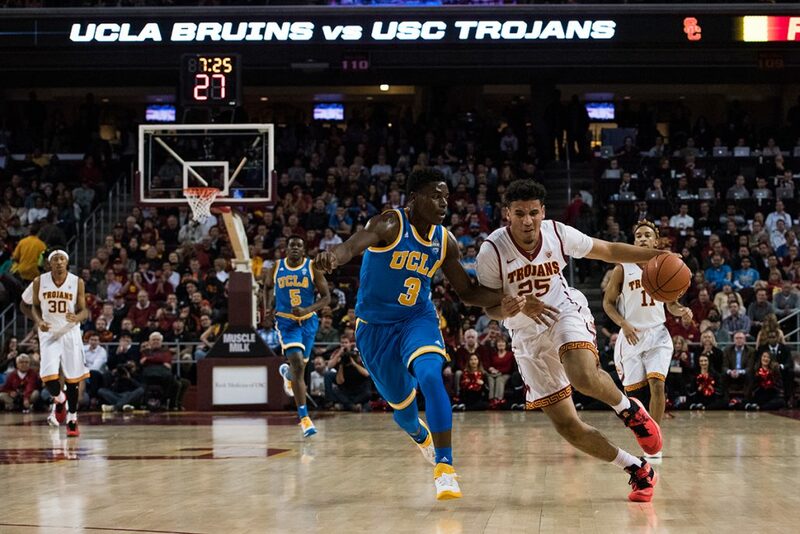 USC welcomed back sophomore forward Bennie Boatwright with open arms Wednesday night, as he led the winning charge for the Trojans against Washington (9-13, 2-8) on the road. Southern California defeated the Huskies by a final score of 82-74. 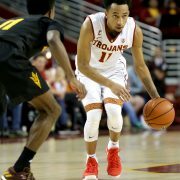 Boatwright scored 16 of his game-high 23 points Wednesday in the second half as the Trojans overcame a double-digit halftime deficit to pick up their third consecutive conference victory. Boatwright, who suffered an MCL injury on Nov. 30 against San Diego, had been inactive for USC the past nine weeks of play. He immediately contributed upon returning to the lineup Wednesday, hitting his first three shot attempts from the field against the Huskies. Overall, Boatwright made 7-of-10 shots from the field in the game. A 13-2 run from Southern California (19-4, 6-4) late in the second half gave the Trojans a 67-66 lead they would not relinquish over the final 4:38 of regulation. Overall, USC finished the game by outscoring the Huskies 27-13 over the final nine minutes of play Wednesday. 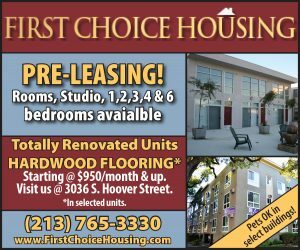 Washington made a scoring charge late in the game, as the Huskies pulled within a point of the Trojans with under two minutes remaining after a three-pointer from sophomore guard Matisse Thybulle. 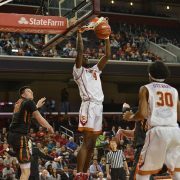 USC responded with a made hook shot from sophomore forward Chimezie Metu that put the Trojans ahead by three with 1:30 in regulation. A pair of free throws from Boatwright put the Trojans ahead by five with just 52 seconds remaining; this cut Washington’s late comeback effort short. Boatwright scored four points in the final four minutes of regulation to diffuse Washington’s scoring runs. As a team, USC made five of its last six field goal attempts to close out the game. At the same time, Washington missed 13 of its last 15 shots (13.3 field goal percentage) to finish the contest. Washington finished the first half on a 15-0 run that put the Huskies ahead of USC, 37-27, at the break. The Trojans responded with a 13-4 run to open the second half; they would outscore Washington in the final half of play, 55-37, en route to the victory. USC was able to erupt offensively in the second half after going scoreless over the final five minutes of the opening half. The Trojans shot efficiently from the field to conclude the game, hitting 17 of their 25 shots (68 percent) to conclude the game. 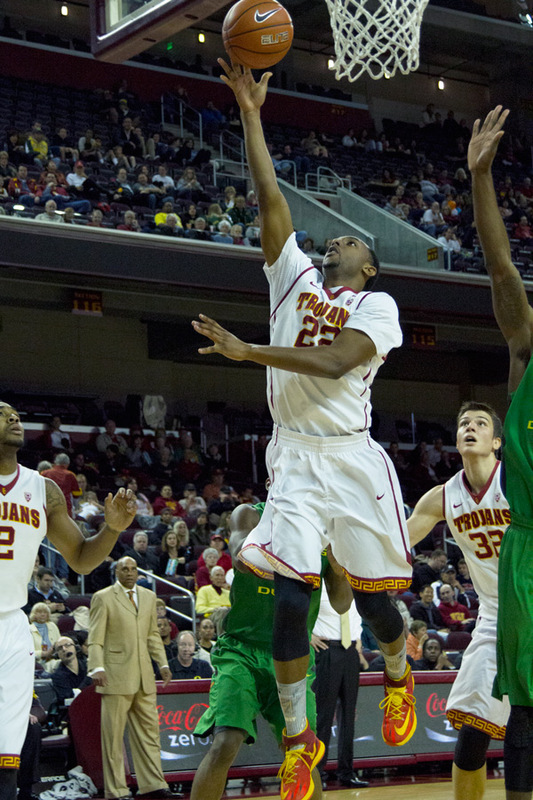 From long range, USC was 4-for-7 from beyond the arc in the second half. Freshman guard De’Anthony Melton put together another complete performance on the road. Melton finished the game with 16 points (6-of-11 shooting), seven rebounds and six assists. Defensively, Melton was a force against Washington, as he recorded six total steals. In a losing effort, Washington’s standout freshman guard Markelle Fultz finished with 20 points, six assists and five rebounds. Boatwright (23 points scored), Melton (16), Metu (15) and junior guard Jordan McLaughlin (13) were the four double-digit scorers for the Trojans on Wednesday. Behind Boatwright’s 23 points off the bench, USC’s reserves outscored Washington’s bench, 26-1, in the win. USC shot 20-of-27 (74 percent) from the free throw line; Washington shot only 9-of-13 (69 percent) from the stripe. Metu finished with 15 points scored (6-of-13 shooting) and a team-high eigh rebounds against the Huskies. He scored 13 of his points Wednesday in the second half. Three rim-rattling dunks from Metu in the final half of play gave the Trojans momentum and sparked their comeback effort. Washington sophomore forward Noah Dickerson finished Wednesday’s game with 17 points and nine rebounds. Coming off of a 12-steal performance against UCLA last Wednesday, the Trojans were able to create 14 steals defensively against the Huskies. With the victory, USC improves to 6-4 in Pac-12 play; it trails conference leading Arizona (20-2, 9-0) in the standings by four games. After falling to the Trojans, the Huskies are now on a four-game losing streak. The Trojans will remain in the state of Washington for their next game. 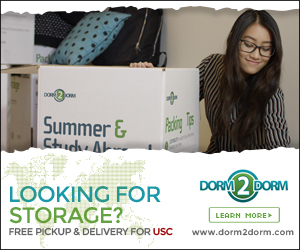 USC will take a trip to Pullman, Washington to take on Washington State (11-11, 4-6) Saturday.